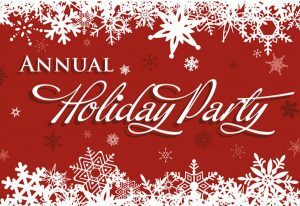 Are you interested in attending or sponsoring the 2018 RCA Christmas Party? We would love to have you! RSVP and Pay online using the PayPal button below by November 26, 2018!! We are also looking for sponsors for our event! If you are interested in sponsorship, please download the sponsor letter here for details. Like membership, you can pay for your sponsorship and reserve your tickets (for the Gold & Silver level sponsorships) using the PayPal button below!